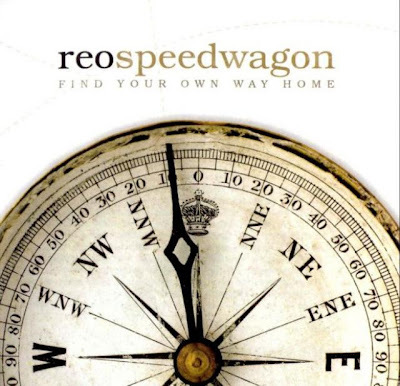 REO Speedwagon have released, Find Your Own Way Home, their first new studio effort since 1996's Building The Bridge. It really might have taken them awhile to find it but the band re-establish themselves here. The album is varied enough in tempo, content and delivery to keep the listener on their toes. Instantly memorable tracks here include the classic-sounding title track, the upcoming single "I Needed To Fall" is a powerful ballad, the playful energy on "Run Away Baby" and strong Commitments-like blues on "Born To Love You" (which features vocals by bassist Bruce Hall.) Some of the other tracks have their charms as well. I really enjoy the guitar work on the opening and throughout "Another Lifetime" which should sound great live. "Lost On The Road Of Love" is a blues groove that features what can only be described as a gospel choir on the chorus. "Dangerous Combination" is a smartly written track with a near country rock edge to it and a chorus urging you to sing along. For some reason the chorus of "Everything You Feel" does remind me of The Men's "Church of Logic, Sin & Love" and that's not a bad thing. If anything, it begs to be used in a commercial. "Let My Love Find You" is a pretty song that kind of gets lost among a lot of love songs. The only fault I find with the album is the opening track, "Smilin' In The End," as it didn't knock me over. Yet, the aggressiveness of the song sets a good foundation for the rest of the album to build on. REO Speedwagon rode the storm out for 11 years and brought back one of the strongest albums of their career. Keep on loving them.